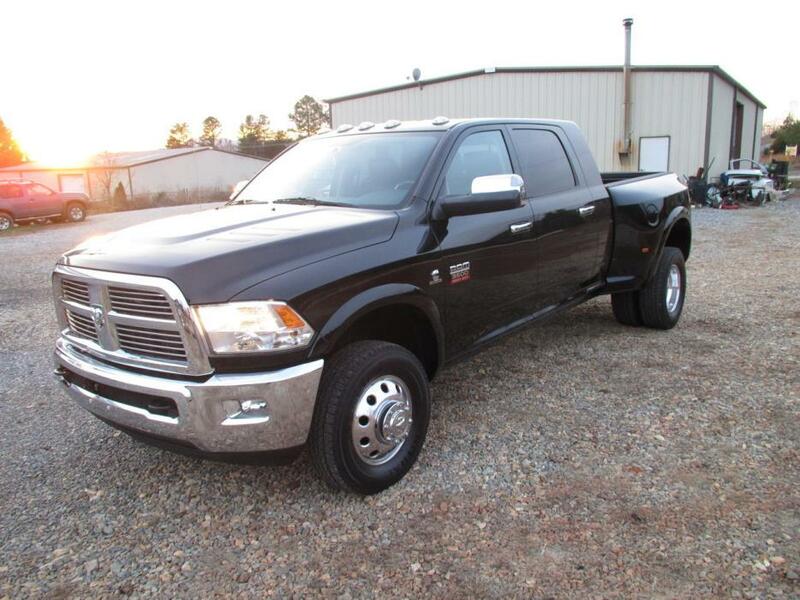 2011 Dodge Ram 5500 crew cab, 4x4, SL Decor, 6.7 Cummins turbo dsl, (305hp) Aisin 6spd. auto. 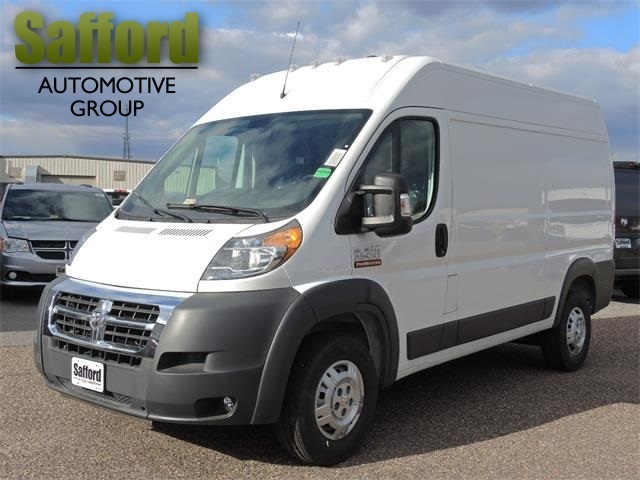 transmission, 4.88 L/S axle, a/c, Power windows, locks, heated mirrors. tilt wheel, cruise, am/fm, cd,trailer brake, upfitter switches, exhaust brake 84 in. c.a. 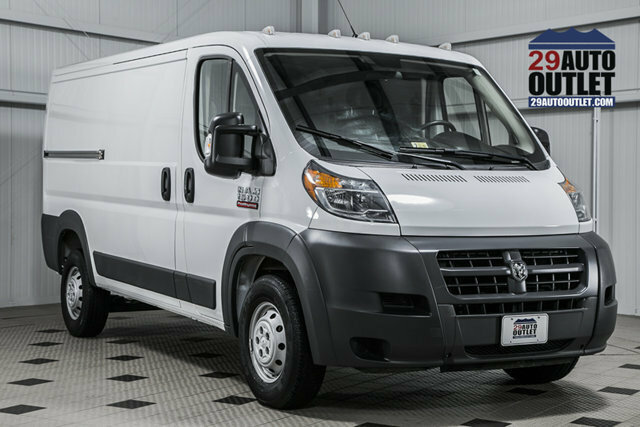 Has new Godwin 12ft. flat dump bed, power up/down, receiver hitch and D rings. Services performed: oil, filter, lube, fuel filter, air filter, trans service, and crankcase filter. (All Mopar) Tires are good (New front) I drove from Sioux City, S.D. 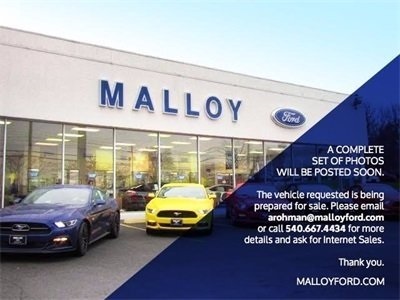 (Fully vetted) Needs nothing! Price:$42,900. 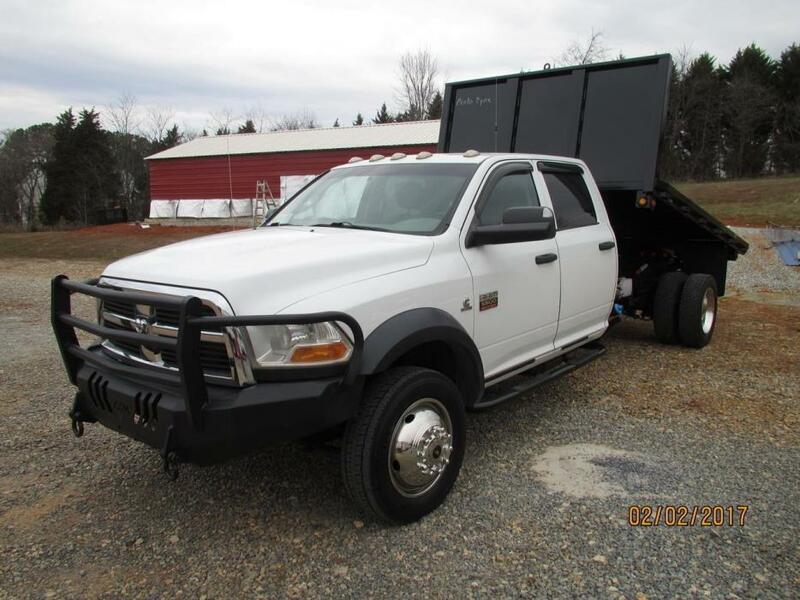 Includes new dump bed. Final detailing will be done when finished. 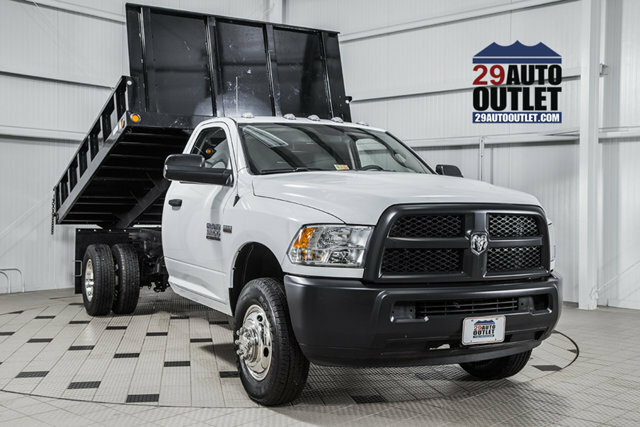 Used diesel trucks, 4x4, dump trucks, flatbed trucks. 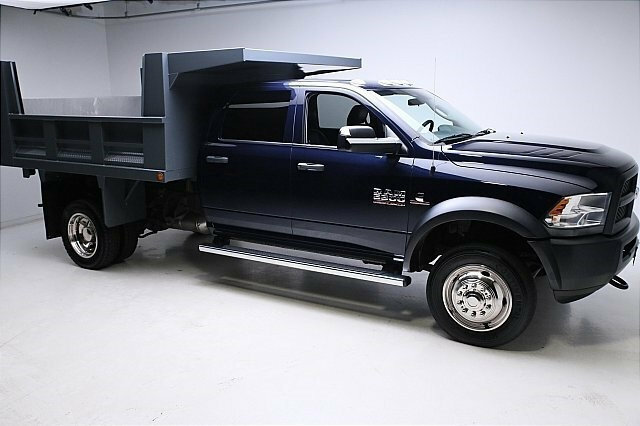 Stock Number: T2660, 12' LANDSCAPE DUMP, Truck, 2014 RAM 4500 CREW CAB DUMP 6.7L CUMMINS TURBO DIESEL 6 CYLINDER 6 SPEED AUTOMATIC TRANSMISSION CREW CAB 4X4 NEW 12' LANDSCAPE DUMP POWER WINDOWS / LOCKS TOW PACKAGE 197WB GVWR 16,000 NO ACCIDENTS PER AUTOCHECK - HABLAMOS ESPANOL.... PREGUNTE POR JOHANA RIOS (540) 347-9929...... FINANCIAMIENTO DISPONIBLE... ACEPTAMOS TODO TIPO DE CAMBIO DE CARROS Our inventory includes vehicles with many options, from (3rd Row Seats CD Player Cruise Control DVD Player Portable Audio Connection Premium Audio Security System Backup Camera Keyless Entry Heated Seats Bluetooth Hands-Free Leather Seats Lift Kit Navigation Power Mirrors Rear Window Multi-zone Climate Control Premium Wheels Power Locks Power Windows Defroster Side Curtain Airbags Sunroof Tilt/Telescope Steering Wheel Steering Trailer Hitch Disability Equipped Wheel Controls Traction Control Heated Seats 2 wheel drive 4WD/AWD - , Contact Will Campos at 888-989-8334 or sales@29auto.net for more information. 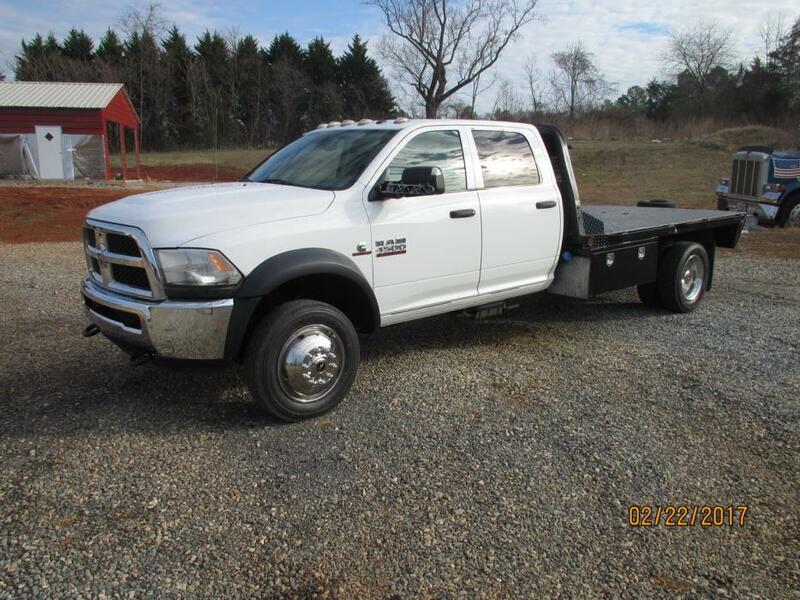 Stock Number: T2643, TRADESMAN, Truck, 2016 RAM 4500 10' FLAT BED 6.7L CUMMINS TURBO DIESEL 6 CYLINDER 6 SPEED AUTOMATIC TRANSMISSION CREW CAB 4X4 10' FLAT BED 5TH WHEEL POWER WINDOWS / LOCKS EXHAUST BRAKE AUX SWITCHES ONE OWNER NO ACCIDENTS PER AUTOCHECK... - HABLAMOS ESPANOL.... PREGUNTE POR JOHANA RIOS (540) 347-9929...... FINANCIAMIENTO DISPONIBLE... ACEPTAMOS TODO TIPO DE CAMBIO DE CARROS Our inventory includes vehicles with many options, from (3rd Row Seats CD Player Cruise Control DVD Player Portable Audio Connection Premium Audio Security System Backup Camera Keyless Entry Heated Seats Bluetooth Hands-Free Leather Seats Lift Kit Navigation Power Mirrors Rear Window Multi-zone Climate Control Premium Wheels Power Locks Power Windows Defroster Side Curtain Airbags Sunroof Tilt/Telescope Steering Wheel Steering Trailer Hitch Disability Equipped Wheel Controls Traction Control Heated Seats 2 wheel drive 4WD/AWD - , Contact Will Campos at 888-989-8334 or sales@29auto.net for more information. 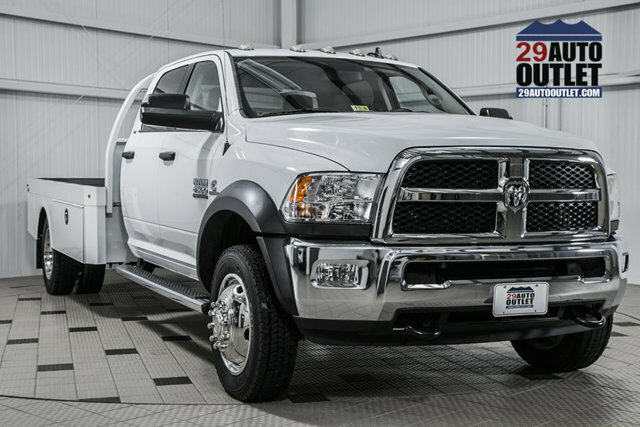 Stock Number: T2628, TRADESMAN, Truck, RAM 3500 4X4 * 12' FLATBED DUMP * HEMI V-8 * TRADESMAN * STILL NEW - HABLAMOS ESPANOL.... PREGUNTE POR JOHANA RIOS (540) 347-9929...... FINANCIAMIENTO DISPONIBLE... ACEPTAMOS TODO TIPO DE CAMBIO DE CARROS Our inventory includes vehicles with many options, from (3rd Row Seats CD Player Cruise Control DVD Player Portable Audio Connection Premium Audio Security System Backup Camera Keyless Entry Heated Seats Bluetooth Hands-Free Leather Seats Lift Kit Navigation Power Mirrors Rear Window Multi-zone Climate Control Premium Wheels Power Locks Power Windows Defroster Side Curtain Airbags Sunroof Tilt/Telescope Steering Wheel Steering Trailer Hitch Disability Equipped Wheel Controls Traction Control Heated Seats 2 wheel drive 4WD/AWD - , Contact Will Campos at 888-989-8334 or sales@29auto.net for more information. 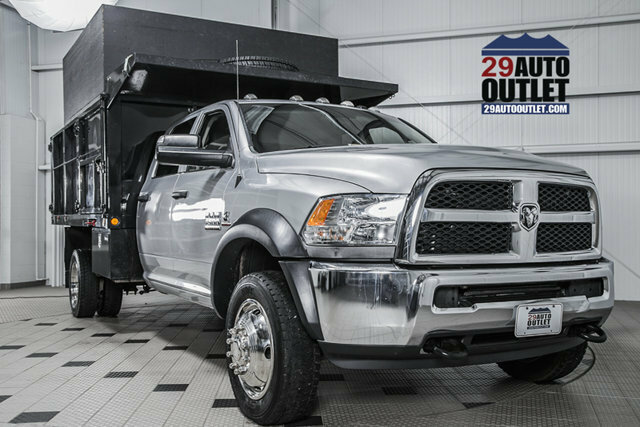 Stock Number: T2641, RAM 3500, Truck, RAM 3500 CREW 4X4 * 6.7 CUMMINS * TRADESMAN * 9' CONTRACTOR DUMP * STILL NEW - HABLAMOS ESPANOL.... PREGUNTE POR JOHANA RIOS (540) 347-9929...... FINANCIAMIENTO DISPONIBLE... ACEPTAMOS TODO TIPO DE CAMBIO DE CARROS Our inventory includes vehicles with many options, from (3rd Row Seats CD Player Cruise Control DVD Player Portable Audio Connection Premium Audio Security System Backup Camera Keyless Entry Heated Seats Bluetooth Hands-Free Leather Seats Lift Kit Navigation Power Mirrors Rear Window Multi-zone Climate Control Premium Wheels Power Locks Power Windows Defroster Side Curtain Airbags Sunroof Tilt/Telescope Steering Wheel Steering Trailer Hitch Disability Equipped Wheel Controls Traction Control Heated Seats 2 wheel drive 4WD/AWD - , Contact Will Campos at 888-989-8334 or sales@29auto.net for more information. 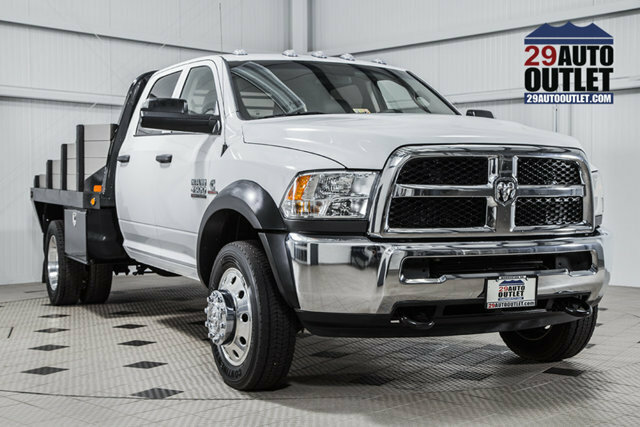 Stock Number: T2686, TRADESMAN, Truck, RAM 5500 CREW 4X4 * 6.7 CUMMINS * AISIN TRANSMISSION * TRADESMAN * CONTRACTOR DUMP * 1 OWNER * CLEAN AUTOCHECK * SHARP TRUCK - HABLAMOS ESPANOL.... PREGUNTE POR JOHANA RIOS (540) 347-9929...... FINANCIAMIENTO DISPONIBLE... ACEPTAMOS TODO TIPO DE CAMBIO DE CARROS Our inventory includes vehicles with many options, from (3rd Row Seats CD Player Cruise Control DVD Player Portable Audio Connection Premium Audio Security System Backup Camera Keyless Entry Heated Seats Bluetooth Hands-Free Leather Seats Lift Kit Navigation Power Mirrors Rear Window Multi-zone Climate Control Premium Wheels Power Locks Power Windows Defroster Side Curtain Airbags Sunroof Tilt/Telescope Steering Wheel Steering Trailer Hitch Disability Equipped Wheel Controls Traction Control Heated Seats 2 wheel drive 4WD/AWD - , Contact Will Campos at 888-989-8334 or sales@29auto.net for more information. 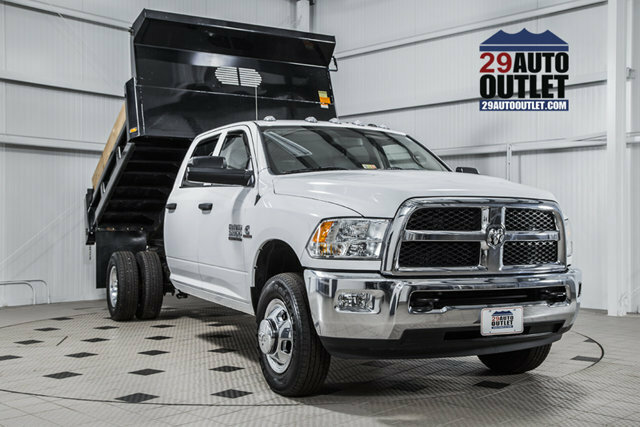 Stock Number: T2639, TRADESMAN, Truck, RAM CREW 5500 4X4 * TRADESMAN * 6.7 CUMMINS * NEW 11' HAULER BODY * ALCOA WHEELS * 1 OWNER - HABLAMOS ESPANOL.... PREGUNTE POR JOHANA RIOS (540) 347-9929...... FINANCIAMIENTO DISPONIBLE... ACEPTAMOS TODO TIPO DE CAMBIO DE CARROS Our inventory includes vehicles with many options, from (3rd Row Seats CD Player Cruise Control DVD Player Portable Audio Connection Premium Audio Security System Backup Camera Keyless Entry Heated Seats Bluetooth Hands-Free Leather Seats Lift Kit Navigation Power Mirrors Rear Window Multi-zone Climate Control Premium Wheels Power Locks Power Windows Defroster Side Curtain Airbags Sunroof Tilt/Telescope Steering Wheel Steering Trailer Hitch Disability Equipped Wheel Controls Traction Control Heated Seats 2 wheel drive 4WD/AWD - , Contact Will Campos at 888-989-8334 or sales@29auto.net for more information. 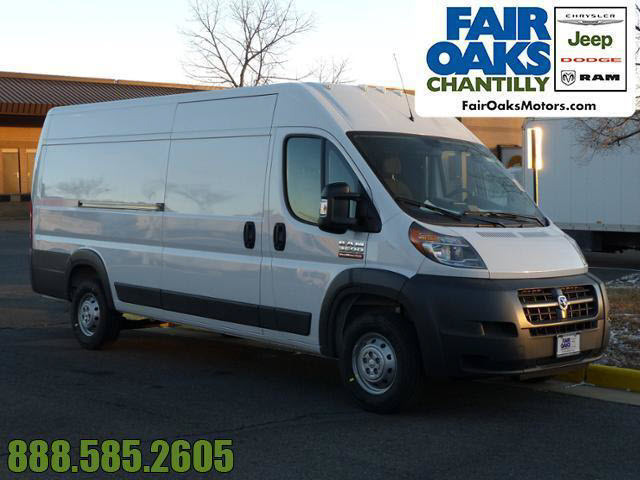 Stock Number: T2673, ProMaster Cargo Van * 3.6 V6 * 1-Owner, Van, PROMASTER 1500 CARGO VAN * 3.6 V6 * POWER WINDOWS AND LOCKS * 1 OWNER * LOCAL TRADE * CLEAN AUTOCHECK - HABLAMOS ESPANOL.... PREGUNTE POR JOHANA RIOS (540) 347-9929...... FINANCIAMIENTO DISPONIBLE... ACEPTAMOS TODO TIPO DE CAMBIO DE CARROS Our inventory includes vehicles with many options, from (3rd Row Seats CD Player Cruise Control DVD Player Portable Audio Connection Premium Audio Security System Backup Camera Keyless Entry Heated Seats Bluetooth Hands-Free Leather Seats Lift Kit Navigation Power Mirrors Rear Window Multi-zone Climate Control Premium Wheels Power Locks Power Windows Defroster Side Curtain Airbags Sunroof Tilt/Telescope Steering Wheel Steering Trailer Hitch Disability Equipped Wheel Controls Traction Control Heated Seats 2 wheel drive 4WD/AWD - , Contact Will Campos at 888-989-8334 or sales@29auto.net for more information. 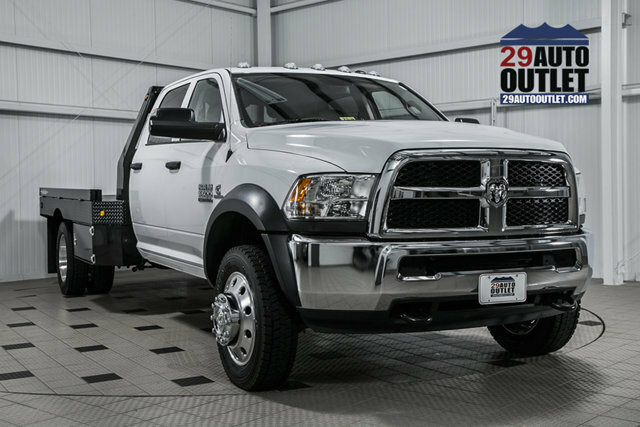 Stock Number: T2646, TRADESMAN, Truck, RAM 4500 CREW * 6.7 CUMMINS * 4X4 * 11' HAULER BODY * STILL NEW - HABLAMOS ESPANOL.... PREGUNTE POR JOHANA RIOS (540) 347-9929...... FINANCIAMIENTO DISPONIBLE... ACEPTAMOS TODO TIPO DE CAMBIO DE CARROS Our inventory includes vehicles with many options, from (3rd Row Seats CD Player Cruise Control DVD Player Portable Audio Connection Premium Audio Security System Backup Camera Keyless Entry Heated Seats Bluetooth Hands-Free Leather Seats Lift Kit Navigation Power Mirrors Rear Window Multi-zone Climate Control Premium Wheels Power Locks Power Windows Defroster Side Curtain Airbags Sunroof Tilt/Telescope Steering Wheel Steering Trailer Hitch Disability Equipped Wheel Controls Traction Control Heated Seats 2 wheel drive 4WD/AWD - , Contact Will Campos at 888-989-8334 or sales@29auto.net for more information. 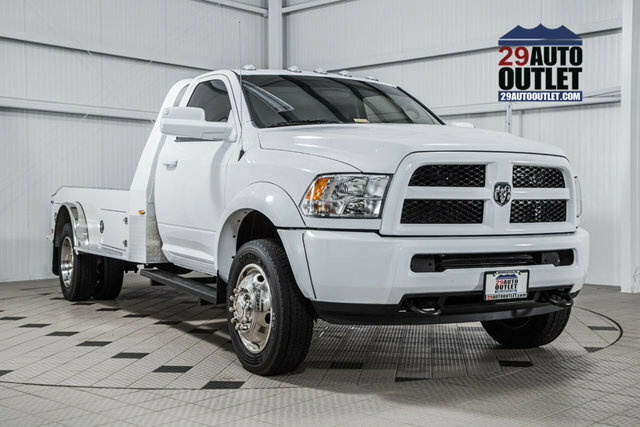 Stock Number: T2624, TRADESMAN, Truck, RAM 4500 * 6.7 CUMMINS * 6-SPEED MANUAL * TRADESMAN * 11' HAULER BODY - HABLAMOS ESPANOL.... PREGUNTE POR JOHANA RIOS (540) 347-9929...... FINANCIAMIENTO DISPONIBLE... ACEPTAMOS TODO TIPO DE CAMBIO DE CARROS Our inventory includes vehicles with many options, from (3rd Row Seats CD Player Cruise Control DVD Player Portable Audio Connection Premium Audio Security System Backup Camera Keyless Entry Heated Seats Bluetooth Hands-Free Leather Seats Lift Kit Navigation Power Mirrors Rear Window Multi-zone Climate Control Premium Wheels Power Locks Power Windows Defroster Side Curtain Airbags Sunroof Tilt/Telescope Steering Wheel Steering Trailer Hitch Disability Equipped Wheel Controls Traction Control Heated Seats 2 wheel drive 4WD/AWD - , Contact Will Campos at 888-989-8334 or sales@29auto.net for more information.